Congratulations to Texas Orthopedics' physical therapist, Derrick Campbell, on being published in the magazine, ADVANCED for Physical Therapy & Rehab Medicine. Campbell detailed his experience in treating Texas Stars hockey players, the affiliate of National Hockey League's Dallas Stars, during their 2014 championship season. Texas Orthopedics is the official sports medicine provider for the team. As a former hockey player, Campbell knows intimately about the physical demands, injuries and recovery needs required by hockey players and used that knowledge to assist the players during a long and challenging season. Read the full article here ... Action Packed: Caring for the AHL's Texas Stars a Keen Understanding of the Professional Hockey Player. Turns out hip replacement surgery is now an equal opportunity procedure and is no longer reserved for the 'older' population. New research from the National Hospital Discharge Survey reveals that hip replacement surgery increased by 200 percent from 2000-2010, among ages 45-54... the youngest group in the study. Hip replacement is becoming increasingly more "hip" and popular among younger folks due to advanced technologies, shorter hospital stays, and a rising number of arthritis cases in younger patients. Hip replacement allows these younger people to continue their active lifestyle, free of nagging hip pain. The surgery is most often performed on those suffering from advanced osteoarthritis, a painful condition caused by the breakdown of cartilage surrounding the hip joints. Oral or topical anti-inflammatories and physical therapy are usually the first course of treatment to try and alleviate pain. If these don't work, surgery may be the best option. Vast technological advancements have been made to this procedure over the past 15 years, including improvements to the actual materials used in the artificial hip replacement pieces/joints. These newer materials are stronger and more compatible with the body and now can be expected to function well up to 20 years following the initial replacement surgery. Hospital stays following surgery have become shorter too, adding to the procedure's appeal. The average patient with no complications can often go home within a day and a half. And once they have completed their prescribed rehab regimen, most younger patients are able to return to their active lifestyle, including sports, within a few months. If you struggle with constant hip pain, contact us to discuss your options. Nearly 1 in 4 men diagnosed with osteoporosis, yet, most do not get screened until after they suffer a fracture, found a recent report published in the Journal of Bone and Joint Surgery. Because osteoporosis is more common in women, they are more likely to be recommended for a bone density screening, explained Dr. Robert Koval, a rheumatologist at Texas Orthopedics to Time Warner Cable News. But, he says, men should also have their bone density tested before they suffer a fracture. Learn more about why it is important for men (and not just women) to pay attention to their bone health. But there is hope. And if you’ve been reading my blog, you know that the hope comes in the form of modifying certain activities which will exacerbate or even cause the conditions from which we SUFFER! And so, to the purse. I have a lovely little collection of antique Victorian purses. None is larger than my open hand, and many are as small as a package of Altoids. One of them even has tiny things inside of it, like a tiny brush and a tiny powder compact. I’ve been told they made tiny packages of tiny cigarettes and matches for the um…liberated ladies who would sneak out for a clandestine smoke. But a proper Victorian lady would never smoke. Nor would she lug around the behemoths on which we are now so dependent. Let me get to the point. They’re just bad for you! Start thinking of a better way to carry things. Big purses just get bigger and heavier. There are only a few things you really need to put in a purse. So in goes your wallet, keys, your cell phone, and maybe some make up. But then why not add a bottle of water, a book, or your lunch? That still leaves room for a couple of protein bars, a change of clothes and your iPad. It’s amazing to see what people put in their purses. This tremendous weight is then slung across the shoulder, forcing the user to elevate that shoulder to hold it in place. This puts stress on the neck, the shoulder and the back. Okay, so you hang yours on your arm. This is no better, and I have patients who get repetitive strain disorders and nerve compression disorders from this method of carriage. We are not beasts of burden, and yet we aim to be exactly that…especially us gals. Always striving for greater efficiency, we try to carry as much as possible in one trip. I used to carry a small tool set in mine. It was very handy…once a year. Just when I needed that hex head screw driver. I encourage you to lighten the load. Really. How much do you actually need to haul around with you? Put some of the stuff in the car. Get it in a separatetrip. Clean out your purse weekly. Get a smaller purse and force yourself to travel with less. I understand the fashion statement. I really do. But it’s hurting you…oh, and making my car payment along the way. Tom Brady, Jamal Charles, Jordan Shipley, Adrian Peterson, Von Miller, Tyrann Mathieu, Brian Cushing, Sam Bradford, Jeremy Maclin.... the list goes on. 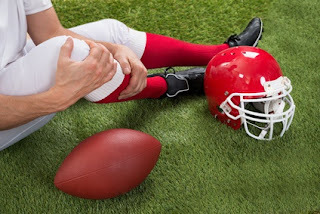 These athletes have all sustained anterior cruciate ligament (ACL) tears. Dr. Scott Smith, orthopedic surgeon at Texas Orthopedics, explains the ins and out of this common sport injury. What is the ACL? How Common is the Injury? The ACL is a large ligament in the center of the knee that controls translation and rotation of the knee. Its function is essential for high performance activities that involve start-stop and cutting movements. For some, an injury to the ACL will affect an athlete's performance, is a season ender, and may even be a career ender. ACL tears are especially common in football players. There are approximately 12 injuries for every 100,000 player exposures. Another way to look at this is a team of 100 players practicing 5/week for 16 weeks can expect to have one tear per season. Girls' soccer and basketball have very similar rates. Injuries occur most often with a deceleration and external rotation, non-contact mechanism. A change of direction or cut on a fixed foot can result in a tear. A direct blow to the knee causes 20% of ACL injuries. After a knee injury, most players are evaluated by their trainers and physicians. Usually the diagnosis is made on the sidelines by exam and frequently confirmed via MRI within the next week or two. Most high school athletes undergo a surgical reconstruction of the ACL shortly after the injury but there is no urgency as to timing. The operation is called a reconstruction because it uses a graft from elsewhere in the body to reconstruct the torn ligament. It is not a repair. Graft choice is surgeon/patient preference and there are multiple options: patellar tendon, hamstring, allograft (cadaver) and others. The procedure itself is complicated and requires expertise; however, most sports orthopedic surgeons perform numerous reconstructions per year and consider it routine. The surgery itself takes approximately 60-90 minutes. Surgery time can also depend if there are other injuries which require repair (meniscus, cartilage, and other ligaments). ACL reconstruction is an outpatient surgery and patients can usually return to school in 2-5 days. Pain medication and crutches for 2-4 weeks following surgery should be expected. Recovery and rehabilitation are very important to a patients final outcome. Patients can expect activity protection and modification for at least six months postoperatively. Returning to full participation and active sports depends on regaining full motion, strength, coordination and confidence. This routinely takes six months or more. Data suggests that between 70-85% of athletes return to sport at the same level they were at pre-injury. Unfortunately there is a very high re-injury rate in high school athletes as well as an inordinate rate of tearing the other knee's ACL. Prevention better than reconstruction. There now are multiple programs all with variable success at preventing knee and specifically ACL tears. These typically involve quadriceps, jump and balance training. These programs should be a standard part of all sports training. If you're interested in a training program, talk to your coach or athletic trainer. Dr. Smith sees patients at Texas Orthopedics Northwest Austin, Cedar Park and Round Rock locations. To request an appointment with Dr. Smith, call 512-439-1001. Plantar Fasciitis may sound a little frightening. But it really isn't. It is the most common cause of heel pain and gets its name because it starts in the plantar fascia part of your foot. 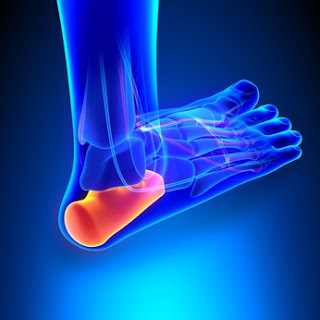 The plantar fascia is the ligament that connects the heel bone to your toes and supports the foot's arch. Who Is at Risk and What are the Symptoms? You likely most often hear about runners who suffer from plantar fasciitis. But, anyone who is constantly on their feet can strain or weaken the plantar fascia, leading to swelling, inflammation, and even tiny tears in the ligament. Heel pain can range from dull and nagging to severe and shooting. Sometimes uncomfortabble stiffness in the arch of the foot can also be a sign of plantar fasciitis. If these therapies along with over-the-counter pain medication do not help, your doctor might suggest special splints to wear at night, or an anti-inflammatory cortisone shot. June marks the heart of baseball season, grilling season, and the special day we celebrate fathers and other important male figures in our lives. June is also Men's Health Month, dedicated to the awareness and prevention of men's health issues. Now is a good time to take stock of your health and remember it's never too late to start making healthy changes. 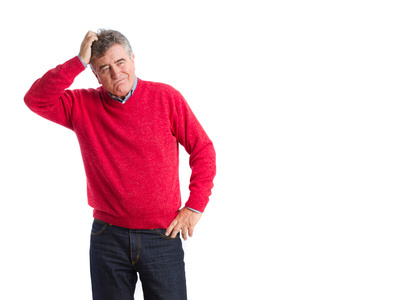 Begin by taking this men's health quiz to find out what screenings or tests you might need to update your health records and determine what unhealthy habits to try and eliminate. One of the simplest ways to jumpstart or recharge a healthy lifestyle is via diet and exercise. Eating well and staying active every day can help lower blood pressure, blood sugar, cholesterol, and weight. Keeping these numbers in check can decrease your chance for serious conditions like heart disease and type 2 diabetes. Quitting smoking, or any tobacco use, and drinking alcohol in moderation can also have a great and positive impact on your health. As for diet, making small swaps on a regular basis is helpful. Order a salad instead of fries for a side, drink sparkling water instead of sodas, and opt for baked versions of your favorite dishes over fried. When exercising, find a sport or workout that you love and you'll be more apt to stick with it. Aim for at least 30 minutes daily, five times a week. Scheduling an annual check-up with your doctor is also a good idea, even if you feel fine. Discuss what screenings or vaccinations are appropriate for your age and according to your family health history. Also, if you are 45 or older, ask your doctor if a daily aspirin regime is right for you - it could lower your risk of a heart attack. Adapted from healthfinder.govhttp://www.healthfinder.gov/, U.S. Department of Health and Human Services. 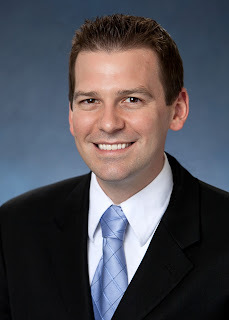 On May 20-24, Dr. Marc DeHart joined 18 other orthopedic specialists from around the country at Miller Review, the premier course for preparing medical residents for the American Board of Orthopaedic Surgery examination. "It's the all-important test that decides if a doctor is 'board certfied'," explained Dr. DeHart, who has been assisting residents at Miller Review for 15 years. Dr. DeHart and other Miller Review faculty are all fellowship-trained, and many are authors of the fifth and sixth editions of the Review text. He says the orthopedic surgeon faculty gives lectures to review the most important facts regarding musculoskeletal care. Dr. DeHart describes the course as rigorous and demanding for the students and faculty. "Miller Review is so successful because the residents who take the course 'grade' the speakers. If you don't 'make the grade' you're not asked back." At this year's course, Dr. DeHart spoke on perioperative problems, orthopedic infections, and cartilage basic science. Men are 10 times less likely than women to get tested for osteoporosis, said a recent study published in The Journal of Bone and Joint Surgery. Yet, nearly 2 million men suffer from the disease. 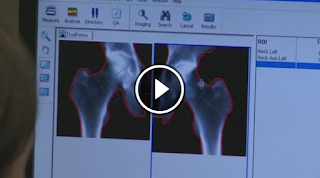 Dr. Robert Koval, Rheumatologist for Texas Orthopedics, told KVUE that the key to preventing osteoporosis is to get screened at the time of a low impact fracture. He said that an early sign of a problem could be a fracture caused by stepping off a curb or falling over. Explained Dr. Koval, "Because that's a sign that your bones are too weak. They should not fracture in that situation."